Baltimore Running Festival festivities started off on Thursday with a visit to the expo to pick up my race packet and register for that evening’s .05k sponsored by 98 Rock. The .05k was set up at Power Plant Live, complete with bibs, inflatable start and finish lines and a water station half way through. Everyone who participated was super into it which added to the fun and it was a hilarious event! You can see pictures from the race on the 98 Rock’s instagram. 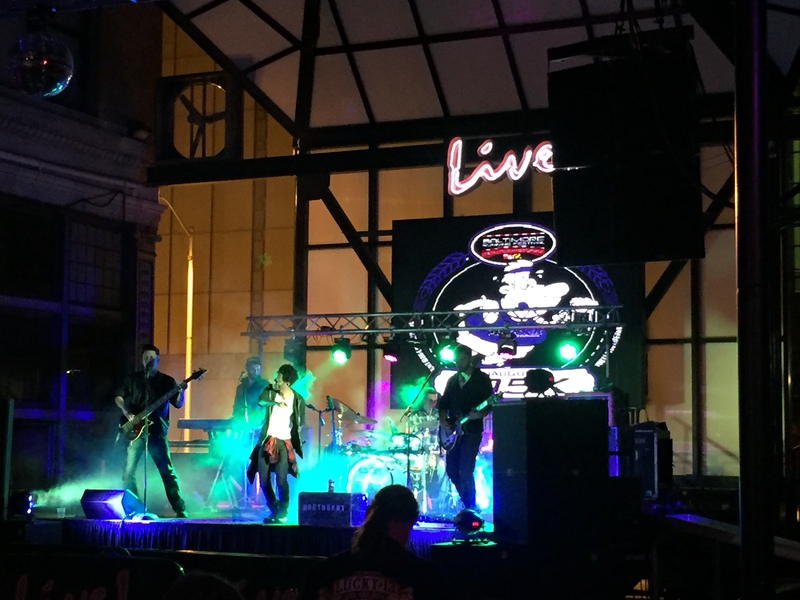 Afterward, Burnt Sienna, a cover band based out of Philadelphia, performed and they were fantastic! They played everything from the Killers to Queen to Imagine Dragons to The Weekend. Friday night we went to Brendali for dinner and enjoyed a tasty chicken parm before laying low the rest of the night and catching up on the Mindy Project. Brendali was PACKED and we witnessed many groups turned away if they didn’t have a reservation, we lucked out and beat the rush but definitely remembering to make a res next time. Saturday was the 5k which was a blast (probably even more fun than the .05k Thursday! :D). I walked over to the start in time to see the marathoners begin which was really cool. 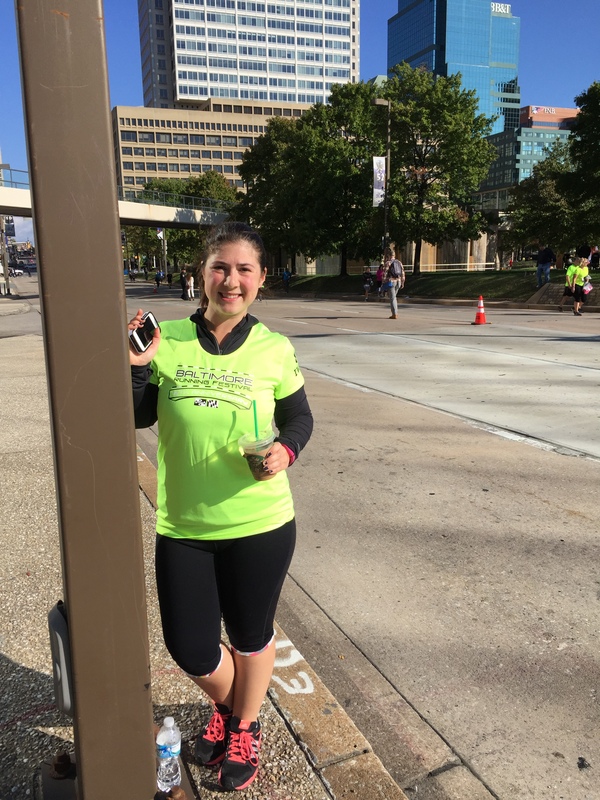 It was fun to run a 5k that was part of a larger festival because it certainly makes the race seem more momentous: the expo, the crowd at the start, the medals, the celebration village at the end – all things that you don’t typically see when it’s just a 5k. 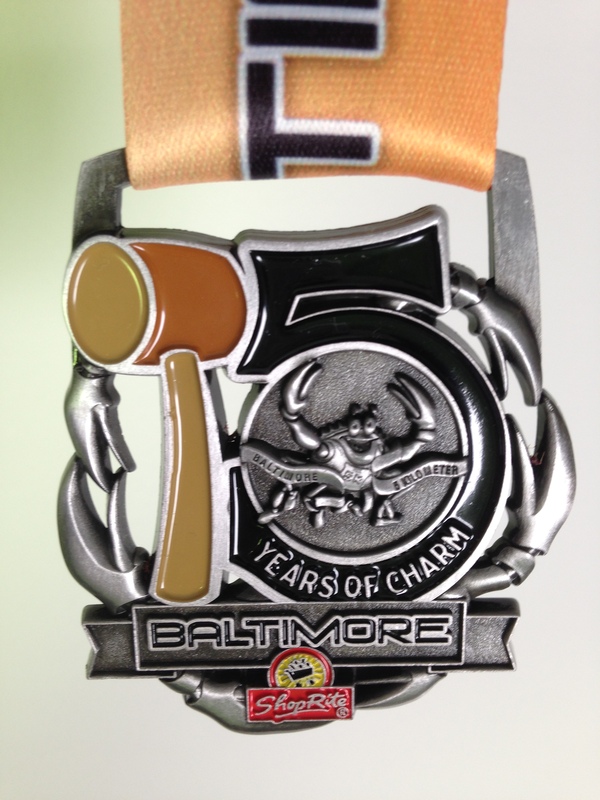 The weather was perfect for running and the course was great – slightly uphill for the first half and slightly downhill for the second half – my time was 34:57 (11:15 min/mi) which may not sound impressive but is really good for me (almost 2 minutes faster than the Baltimore Women’s Classic that I ran in June). Adam met me at the finish and we walked to Starbucks for breakfast and cheered on the half marathon runners at their start. It was inspiring to see runners all over our neighborhood and everyone was friendly and full of encouragement. Saturday afternoon was spent in Virginia at a friend’s pig roast. 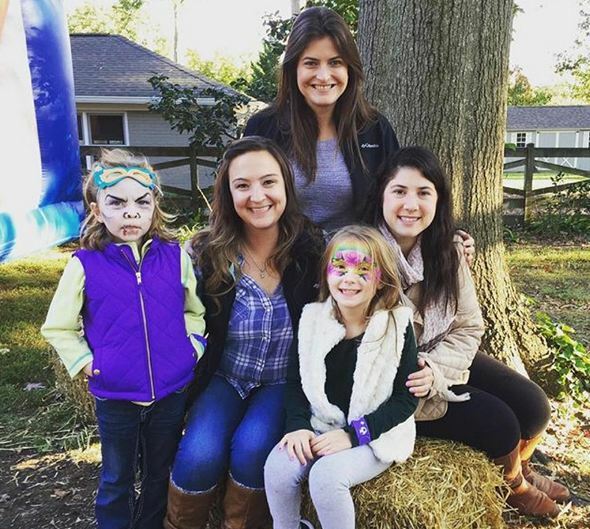 She and her family go all out for this annual event with moon bounces and face painting for kids, a ton of food and drinks and this year they even added a coat drive for charity! It was great to catch up with friends and we had a blast watching all of the kids go crazy running around the backyard. The weekend was rounded out with a lazy Sunday – brunch with family, football and grocery shopping.